After starting the year in Austin, the SBMRL returns to the United States for the start of the second half of the season. This time, we head to Florida to wind our way around Sebring International Raceway. Sebring hosted the first Formula 1 grand prix in America in 1959, but is now most known for the 12 Hours of Sebring. Unlike our last race in Monaco, Sebring will allow drivers to let loose a bit… provided they’re able to hit the right line through the corners. The slowest section of the track will likely be the first sector. 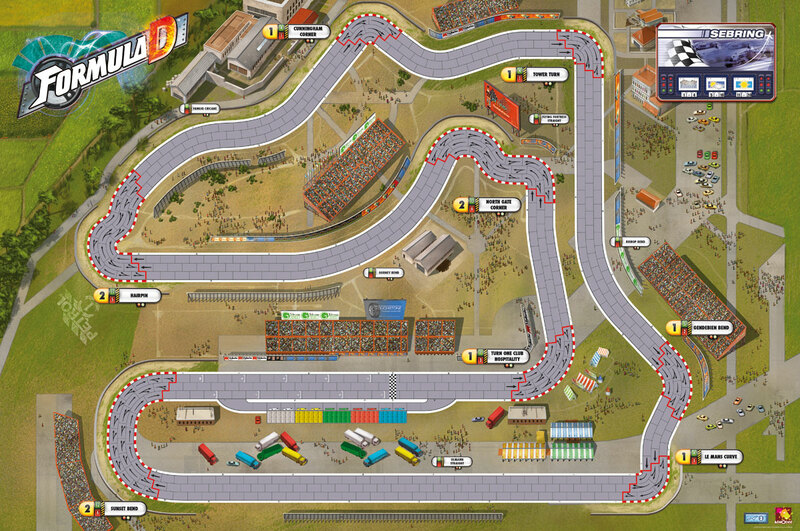 Turn One Club Hospitality is indeed hospitable, giving drivers a fair amount of leeway. The consequence of this is that, on the opening lap, drivers starting at the back of the grid may be less hampered by their starting position than in some of the races we’ve seen to date. This may allow them to carry speed and momentum through the first corner that drivers at the front of the field won’t have. On lap 2, anyone who doesn’t pit may be able to take advantage as well. North Gate Corner will, then, accordingly slow the field down before a long straight into the equally slow Hairpin. This straight will likely set up some passing opportunities. Despite being nearly as long as the tunnel straight in Monaco, it’s just the 3rd longest straight at Sebring. It’ll see slower speeds than elsewhere on the track due to the corner that precedes it, making it feel a bit more Monaco-like. It’ll also require a slowdown at the end in preparation for the hairpin. From there, drivers will do everything they can to go all out throughout the rest of the track. Unfortunately, that won’t be quite as easy as folks may like. They’ll have to hit Cunningham Bend and Tower Turn accurately and in succession. Both are sharp, unforgiving corners that can trip drivers up. Tower Turn then opens up into a moderately long straight leading to Gendebien Bend, so cars that are unable to carry speed will be on the wrong foot. The third sector is all about gearing up for the longest straight on the track. Gendebien Bend and the Le Mans Curve keep drivers frustratingly honest. There’s no easy way to tear through them fast enough for satisfaction, and Sunset Bend at the far end requires enough speed reduction to bring out the cautious side of most drivers. It’s been three races since anyone has crashed out prior to the finish, but Sebring may bring that streak to an end. 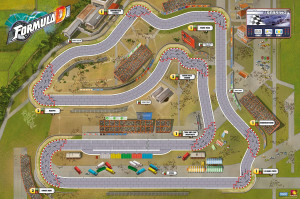 It’s could very well be the best track for high speed passing that we’ll run all year, and you can bet that the more aggressive drivers, and those trying desperately to catch up from the back, will be pushing their vehicles to the limits. Mater gets pole position after tumbling precipitously in Monaco. His nightmare race dropped him from a starting slot of 3rd all the way to 7th, and he subsequently finds himself last in the driver standings. The 4-way tie for 3rd place, with 47 points each, is resolved in reverse order of finish at the previous race, Monaco. That brings Nero, who started the last two races in 7th place, all the way up to 3rd on the grid after his 8th place finish. On the other end, Captain Slow and The Stig start in the third row. This is the fourth consecutive race that Jaap Snellrijder will start at the back of the pack. With both Regency Motors drivers starting on the back row, it seems like this will be an excellent time for someone else to put themselves atop the standings. Pit selection, based on reverse order of average starting grid position will be as follows. Ties broken by reverse order of current team standings. Cobalt, with their drivers starting 2nd and 3rd are in an excellent position to finally claim their first victory of the year. They’re currently tied with Regency Motors for the most podium appearances this year (4) and reportedly none too pleased about Scandinavian Blitz passing them in the team standings. The Green Team will also be looking to see if they can break Scandinavian Blitz’s single race points record. Any team hoping to do so will need to win and have their second car finish better than 5th, which the white liveries have delivered twice. This entry was posted in Race Previews and tagged Sebring. Bookmark the permalink. Team Cobalt is eager to demonstrate a podium finish and retake our place in the team standings.